$15 Entry, Equipment & 100 Paintballs! Enjoy the great outdoors and book a fun day out with friends and family for less! 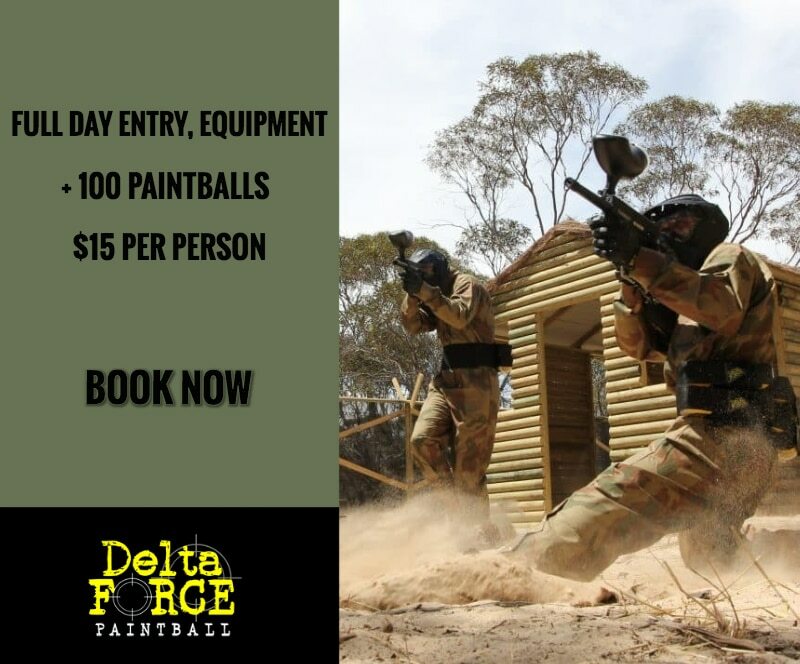 Book now and receive full day entry, equipment hire and 100 paintballs each for only $15! Experience a world of fun & adventure equipped with 100 paintballs to start off your day. Call 24/7 on 1-778-200-0145 to book the ultimate day out at a Delta Force center near you! T&Cs: Booking in advance essential – call 1-778-200-0145 by 30.9.18. $15.00 per person entry, equipment & 100 paintballs. All payments are non-transferable and non-refundable. Not to be used in conjunction with any other offer. Not valid for Miniball. All other standard T & C’s apply.